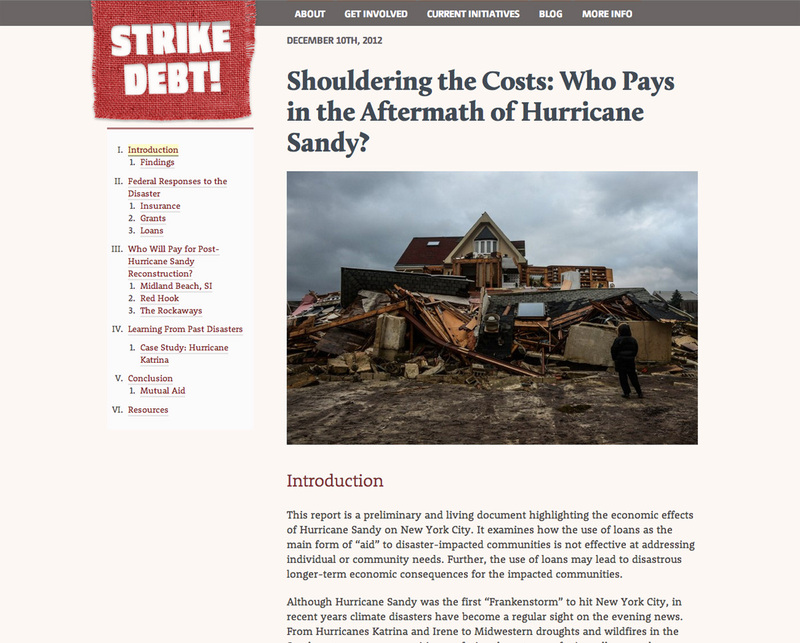 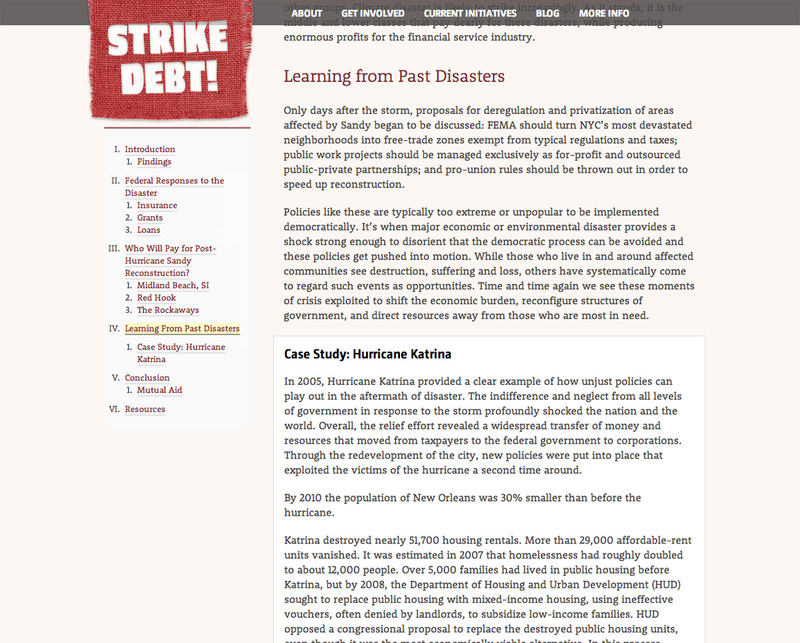 Strike Debt is an activist organization calling for debt resistance. 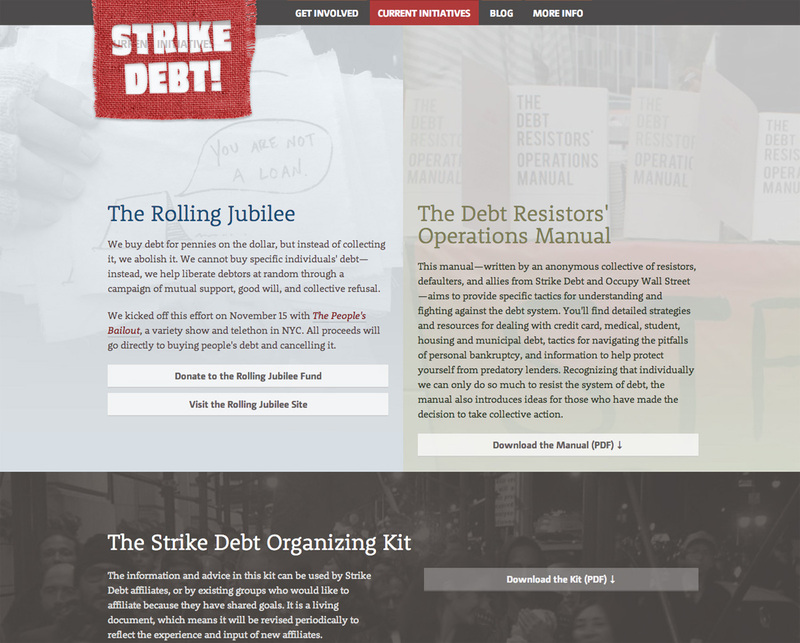 An offshoot of Occupy Wall Street, they aim to organize and educate debtors. 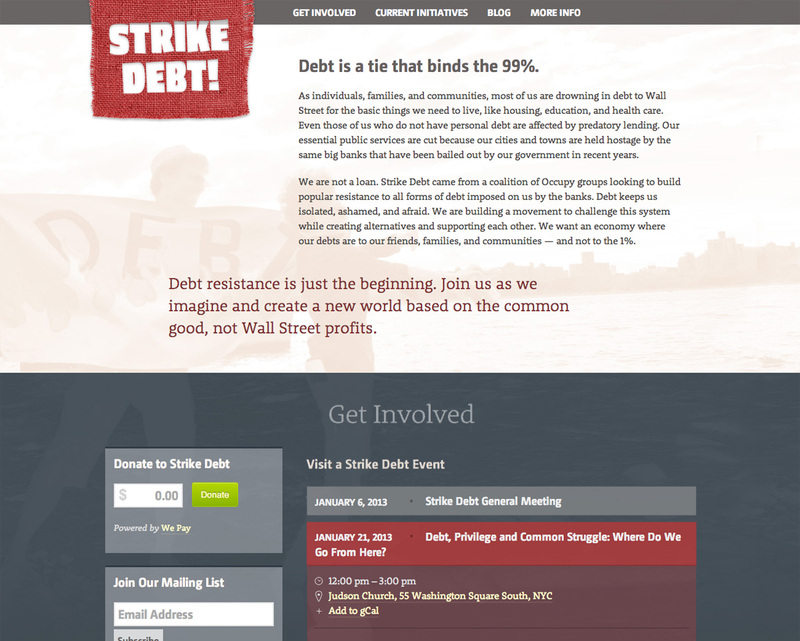 Their website features detailed reports, initiatives, and opportunities to get involved.